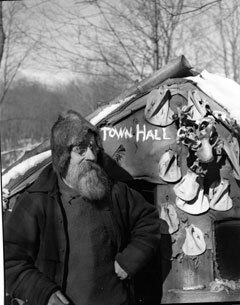 When I was just a little kid (before kindergarten-age), there was an old Adirondack hermit living in the woods up and around our area. He had a grizzly beard and looked around 75 or older; he walked with a sort of stooped gait, wearing a cap of some sort over his white hair. For quite a while he had a “shelter” built deep in the woods, and he camped out there pretty much all year round. We didn’t know his name, but early on, Pa hiked back there to check him out and make sure he was all right, considering that there were seven girls at home to worry about. Pa spent some time paying attention to his movements around the woods and talked to him a few times, too, offering him some pieces of wood, old pails and the like to help him out. He said the hermit was no one to worry about – he was really just an old “mountain man” who preferred to live off the land and away from society. 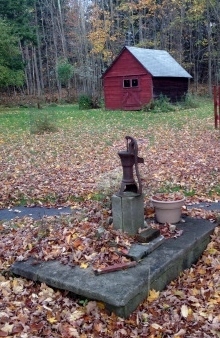 The old guy would hike down into town once in a while for some food or supplies, and he’d come into our backyard late at night to fill up his water pail, not from the hand pump in the picture (which wasn’t hooked to anything) but from the outdoor spigot on the back wall of the house, just behind where I was standing to take the picture above. I remember one of my older sisters getting a bit of a fright in the middle of one night when she went downstairs to use the (one and only) bathroom in the house and saw this sort of ghostly (to her) figure in the moonlight, walking through the back yard, away from the house, and into the woods. It was the old hermit, filling up his water pail. Years later, I remember asking my father if he knew what had happened to the old guy, and he told me that he’d been struck and killed by a car along the main route into town one spring day. 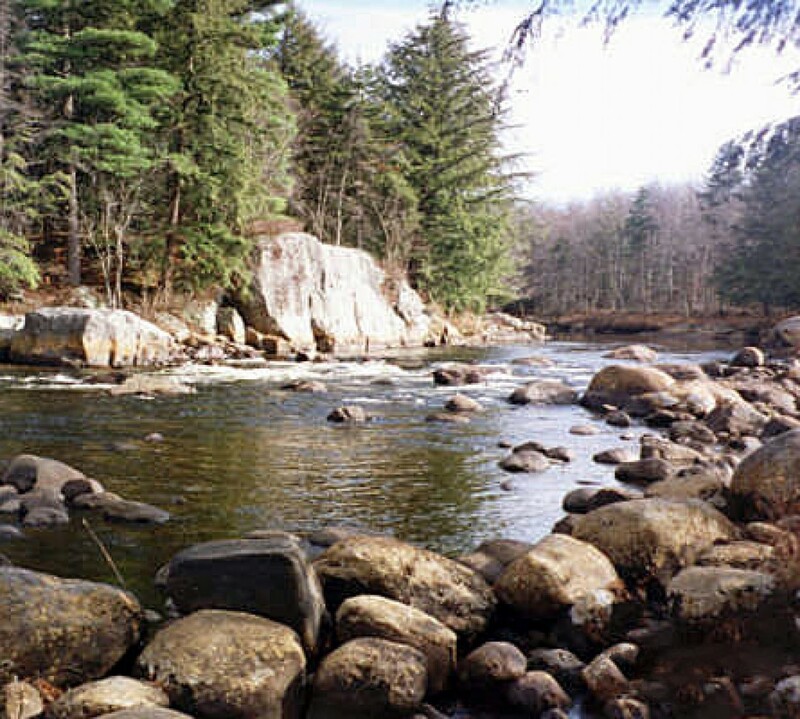 A sad end to a man who was probably one of the last of his kind – one of the old Adirondack hermits of yore, self-sufficient, but just preferring solitude and Nature to the hustle and bustle of modern living. I’ve always admired the kind of spirit who could strike out on his/her own like that, just disappearing into nature to find a sense of peace. Love that you have both pictures to share. Simple, good times!